Place fish fillets in a saucepan. Add milk and flavoring ingredients. Bring to a boil and simmer until fish is almost tender. Remove fish from saucepan, skin and bone the fish and flake into 2 shallow oven proof dishes. Scatter the shrimp over the fish. Strain milk and reserve. Melt 4 Tbsp. butter in a pan. Stir in flour and cook for 1 minute. Stir in reserved milk and cream. Bring to a boil, stirring, then simmer until sauce has thickened. Remove from heat and stir in Gruyere, watercress, mustard and seasoning to taste. Pour over fish and let cool. Preheat oven to 375F. Melt remaining butter. 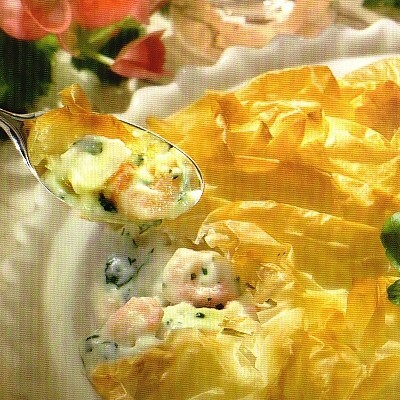 Brush 1 sheet of filo pastry with a little butter, then crumple loosely and place on top of the filling. Continue with the remaining filo until pastry is golden and crisp. Wash the potatoes and cut into wedges and cook in salted water for about 20 minutes. Meanwhile season the steak with salt and pepper and place on a hot grill for 4-5 minutes each side for medium rare. 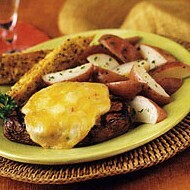 Top each steak with a slice of pepper jack cheese and cook just until melted. Toss potatoes with 1-2 tbsp. Olive oil and parsley. Serve steak with potatoes and garlic toast. Cut a thin lengthwise slice from each potato and, using a spoon, scoop out pulp from each slice and discard peel. Scoop out pulp from each potato, leaving two 1/4 inch thick shells. In a small mixing bowl combine potato pulp and butter and mash. Spoon half of potato mixture into each reserved shell. Top each potato with half of the broccoli, mushrooms, bacon and scallion; then top each with 1/2 oz. of cheese. Set stuffed potatoes on nonstick baking sheet and broil until potatoes are thoroughly heated and cheese is melted, about 2 minutes. 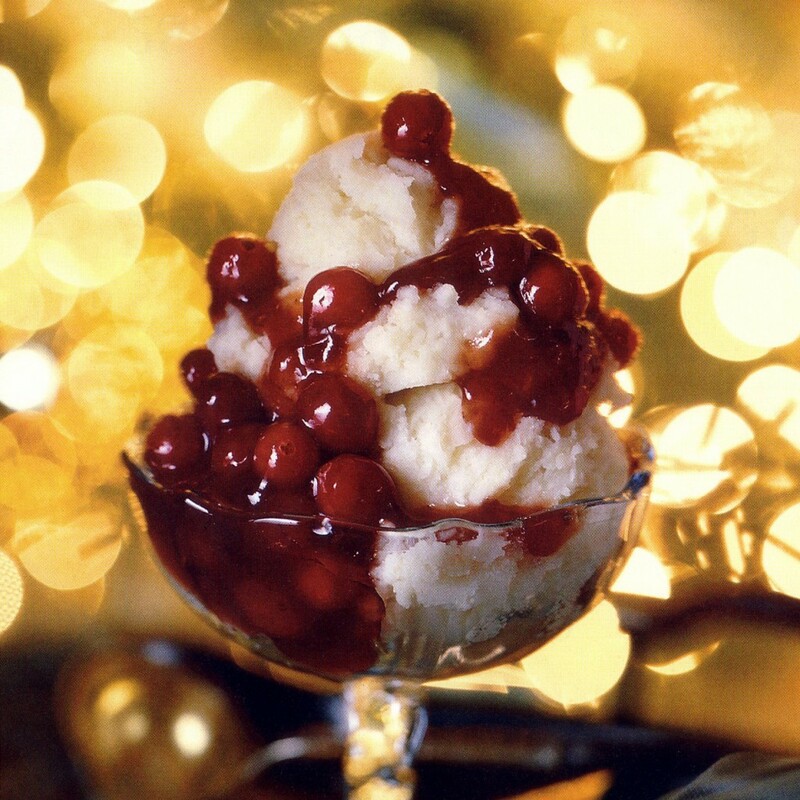 Simmer cranberries gently with jam on stovetop or in microwave, about 5 minutes; cool. (This mixture keeps for weeks in refrigerator in tightly covered container.) Just before serving, soak sugar cubes in lemon extract. Scoop 1/2 cup ice cream into each of 8 serving dishes. Top with cranberry sauce and soaked sugar cube. Light cubes with match; serve immediately. Flame will continue for several minutes. Fill a large wide open pan with water, to bring to a boil and add salt and cooking oil. Add the pasta and simmer until barely tender. Lift pasta out of pan and place in bowl of cold water. Then drain and spread them out between sheets of paper towel. Cook spinach per package directions. Drain well and squeeze dry. Chop finely. Heat butter in frying pan, add spinach and cook, stirring constantly until all the moisture has evaporated. Remove from heat and cool. Crumble goat cheese and stir in ricotta cheese along with salt and pepper to taste. Lightly beat eggs and add them to the spinach mixture, stir well. Butter the baking dish. Spread 3-4 Tbsp. 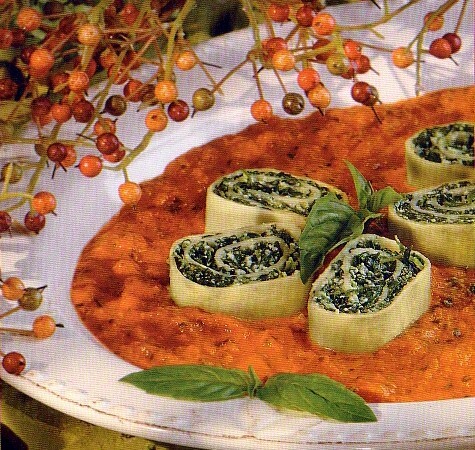 of spinach filling on each pasta rectangle, leaving 1/4″ border. Roll from short end into cylinders and arrange them in the buttered dish. Melt 1/4 cup butter and mix with 1/4 cup heavy cream. Pour over rolls. Preheat oven to 375F. Cover baking dish with foil and bake until heated through, about 30 minutes. While the rolls are baking, make the sauce. Heat the olive oil in a large frying pan. Add peppers, tomatoes, onion, garlic and basil. Cook over medium heat, stirring occasionally until thickened. Puree sauce in a blender until almost smooth. Season the sauce to taste with salt and pepper. To serve, cut each roll into 1 inch slices, discarding the ends. 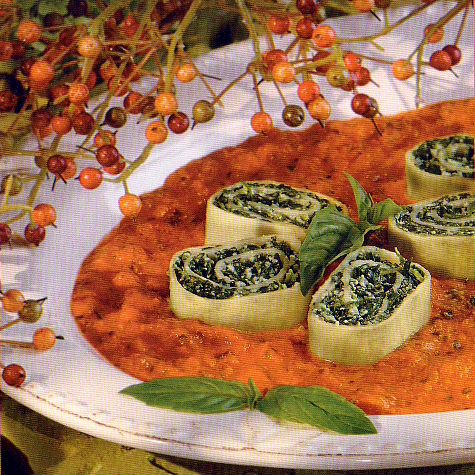 Spoon sauce onto serving platter and arrange spirals on top. Garnish with fresh basil. In small bowl, stir together refried beans, chiles and taco seasoning mix; spread mixture in serving dish. Blend avocados, lemon juice and taco sauce until smooth; spread over refried bean mixture. 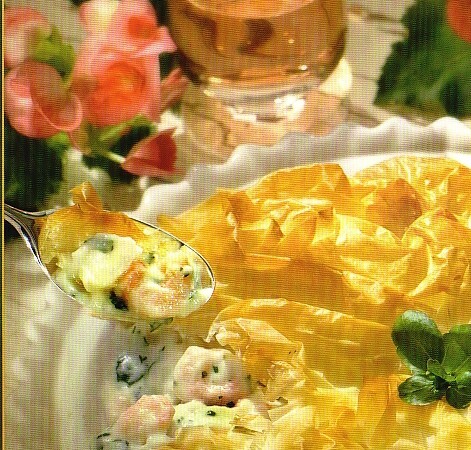 Top with layer of sour cream; sprinkle with lettuce, tomato, olives and cheese. 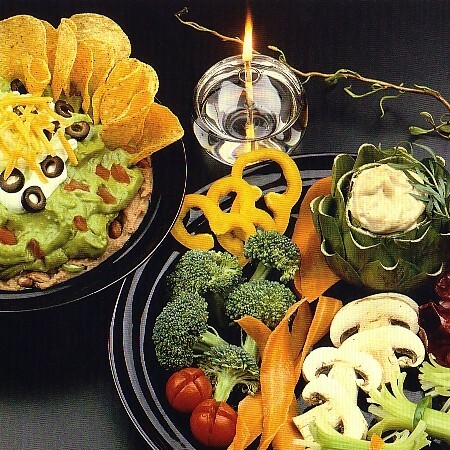 Serve with vegetables or tortilla chips. Combine mustards, honey and cream in a bowl. Transfer 1/2 of the mustard sauce to a large glass bowl. Reserve remainder for later need. Sprinkle chicken breasts with salt and pepper. Add chicken breasts to mustard sauce in large bowl. Turn to coat with sauce. Cover and marinate in refrigerator for 1 hour. Heat butter in a large skillet. Remove chicken from mustard marinade, shake off excess and add chicken to the skillet. Cook 15-20 minutes or until chicken is brown and no longer pink in the center. Turn once. Place reserved mustard sauce on a small saucepan. Whisk in mayonnaise. Heat thoroughly over medium heat. 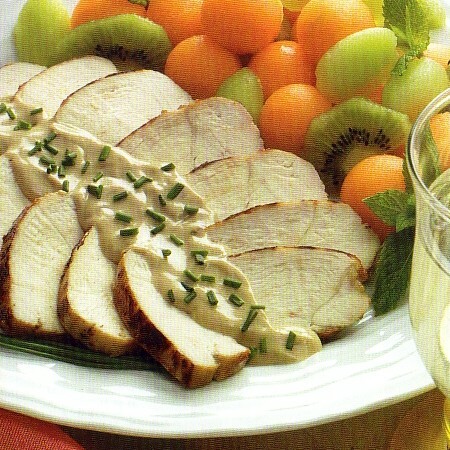 Slice chicken breast and arrange on a plate. Drizzle some mustard sauce over chicken. Pass remaining sauce. Mix sour cream, green onions, fresh dill and lemon juice in a bowl. Season with salt and pepper. Cover and refrigerate until ready to use. Preheat oven to 425F. Toss potatoes with 2 Tbsp. butter, and salt and pepper to taste in a bowl. Heat large oven-proof skillet over high heat. Add 2 Tbsp. butter, swirl to coat pan and add potatoes. With a spatula, flatten potatoes into a pancake. Cook for 3 minutes. Reduce heat and cook until bottom is golden brown. 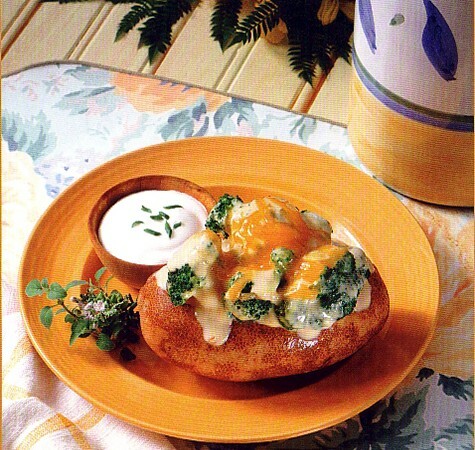 Slide potatoes onto a plate. Place pan on top of plate and invert cake into pan. Remove plate and cook until bottom is brown. Transfer pan to oven and bake about 10 minutes or until crisp. 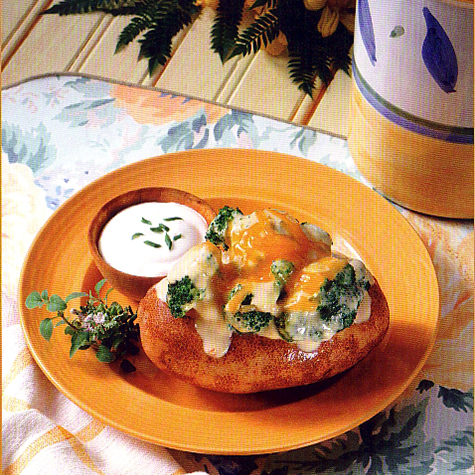 Place potato cake on platter and spread with sour cream mixture. 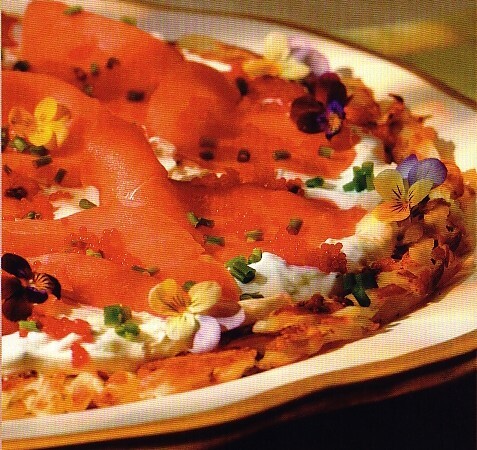 Top with salmon. Drizzle with oil and lemon juice. 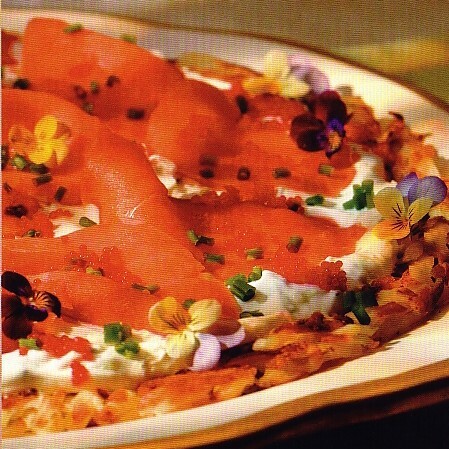 Garnish with caviar, chives and edible flowers if desired. Make cake according to package directions using oil, egg substitutes and water. Stir hot pepper sauce into butter. Bake and cool as directed. While cake is baking, make frosting. 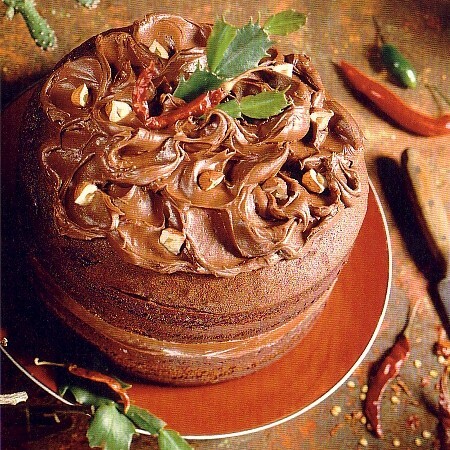 In saucepan, whisk together cocoa and sugar. In small bowl, whisk together cornstarch and milk until lumps are gone. Gradually add milk mixture to saucepan, whisking until smooth. Heat over medium heat until mixture thickens. Remove from heat; cool to room temperature. (If lumps are a problem, use a spoon to press frosting through strainer.) Frost cooled cake. Heat oil to 370F in electric skillet or heavy bottom saucepan. In bag, shake cheese sticks with flour until well coated. In shallow bowl, beat eggs with water. In another shallow bowl, combine bread crumbs, seasoned salt and garlic powder. 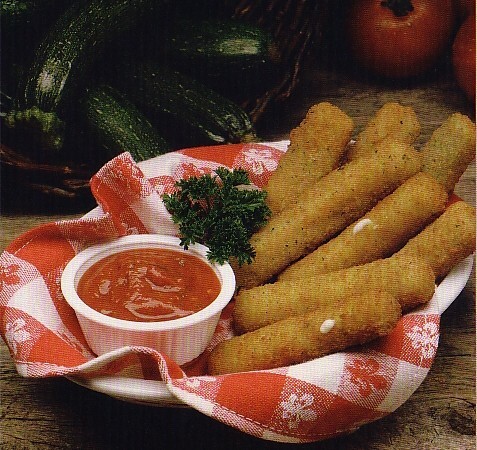 Dip floured cheese sticks, one at a time, in egg mixture, then roll in crumb mixture until well coated. Place cheese sticks on large baking sheet and chill one hour. Fry sticks 3 or 4 at a time in hot oil about 3 to 5 seconds or until golden brown. Remove with slotted spoon and drain on paper towels. 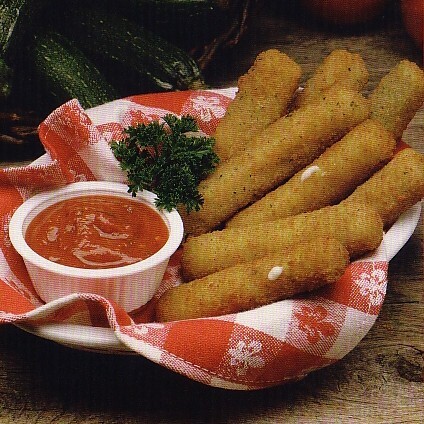 Serve with your favorite pizza sauce for dipping.